Watch UTV Bindass online easily from all across the world through YuppTV. YuppTV offers UTV Bindass live on a subscription package on a bare minimum price. You can also watch UTV Bindass live streaming through your Smartphone, Laptop/ PC or any other internet enabled device. 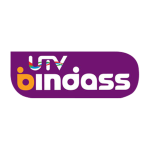 UTV Bindass live TV is also accessible on your smart TV through YuppTV App. UTV Bindass Available in USA, Australia, United Kingdom, Canada, Europe, New Zealand, Japan and Trinidad & Tobago.